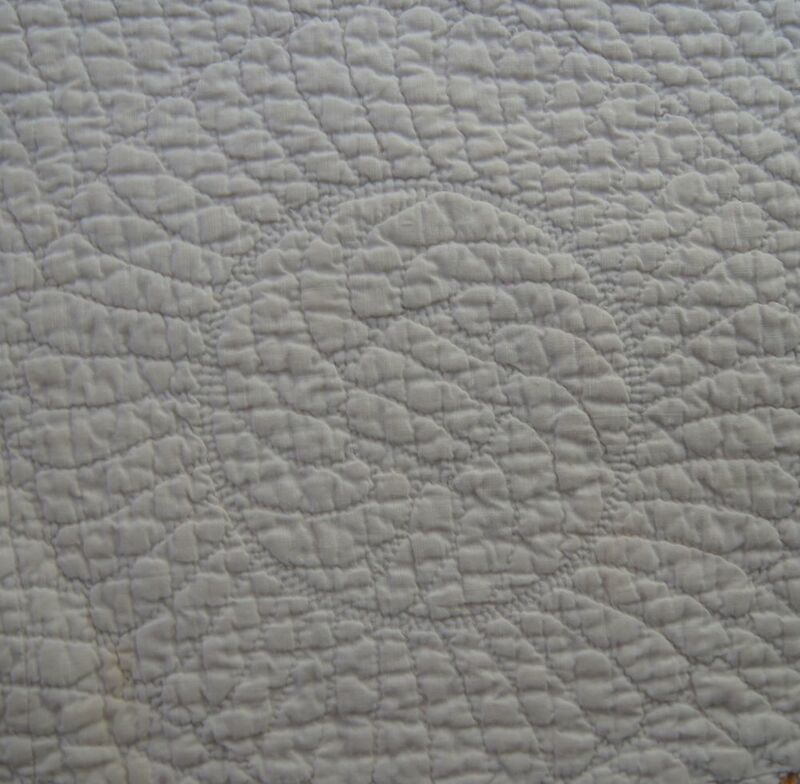 I believe this is the only quilted item my mother ever made. She had a bachelor's degree in interior design and had excellent tailoring/sewing skills. Sewing clothes was her gig. 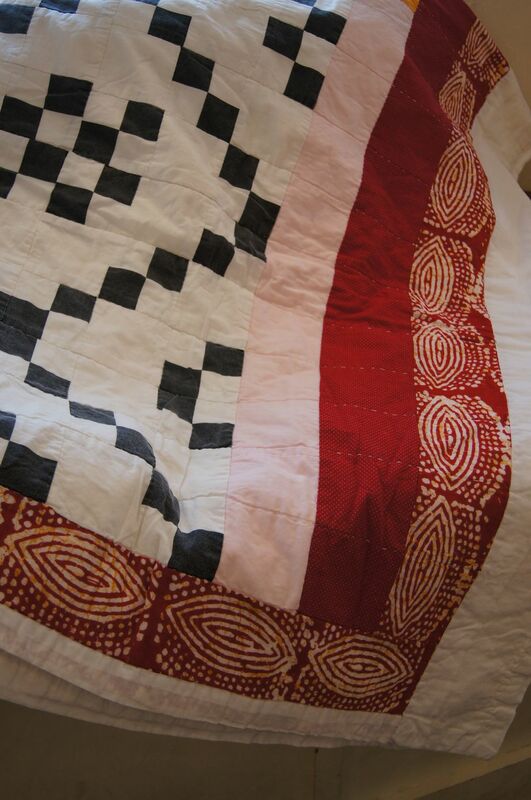 Quilting was mine! 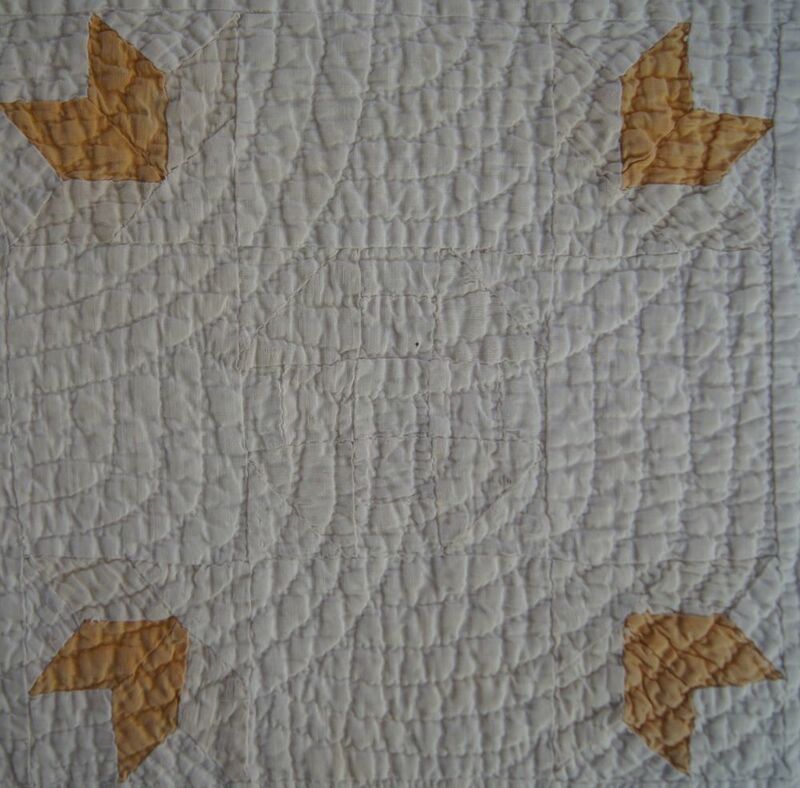 In her interior design work, my mother's area of expertise was interior design for churches and Sunday School buildings. She was very interested in Christian symbols and had many books on this subject her library. 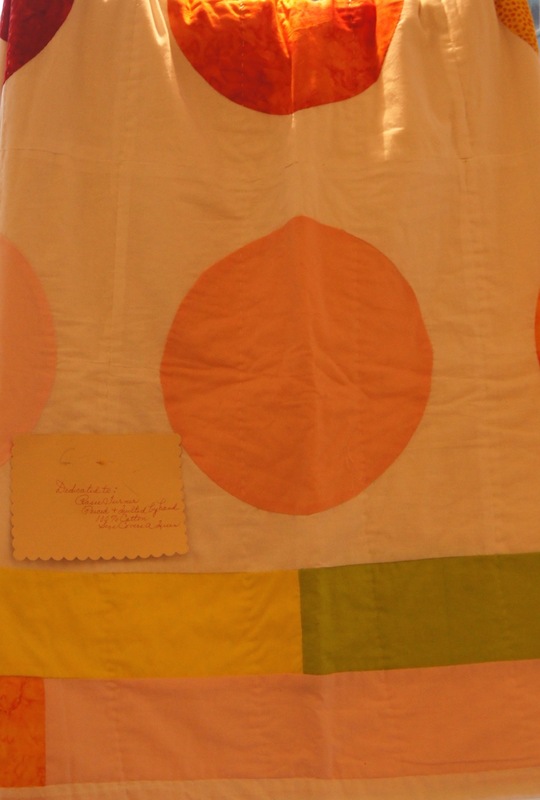 I don't know for sure, but I think it is likely that she designed this wall hanging. However, it might have been based on a design in one of her books of Christian symbols. 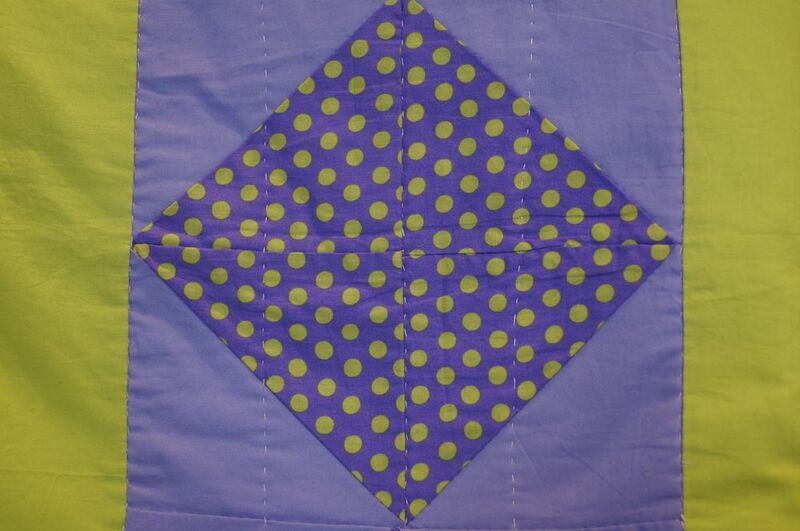 Mom did her machine applique without any fusible web. It probably didn't exist when she made this!! (Based on the red calico, I'm guessing this was made in the 1970s or 1980s). 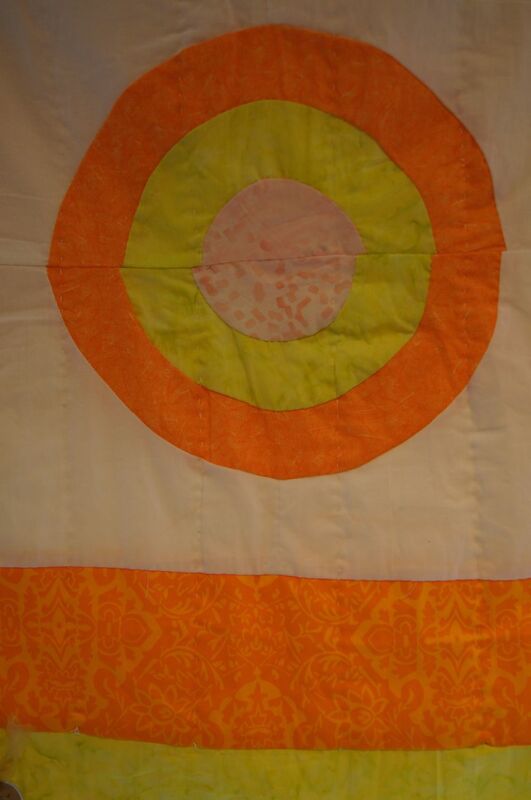 I love that she chose to do hand quilting in concentric circles in the background! 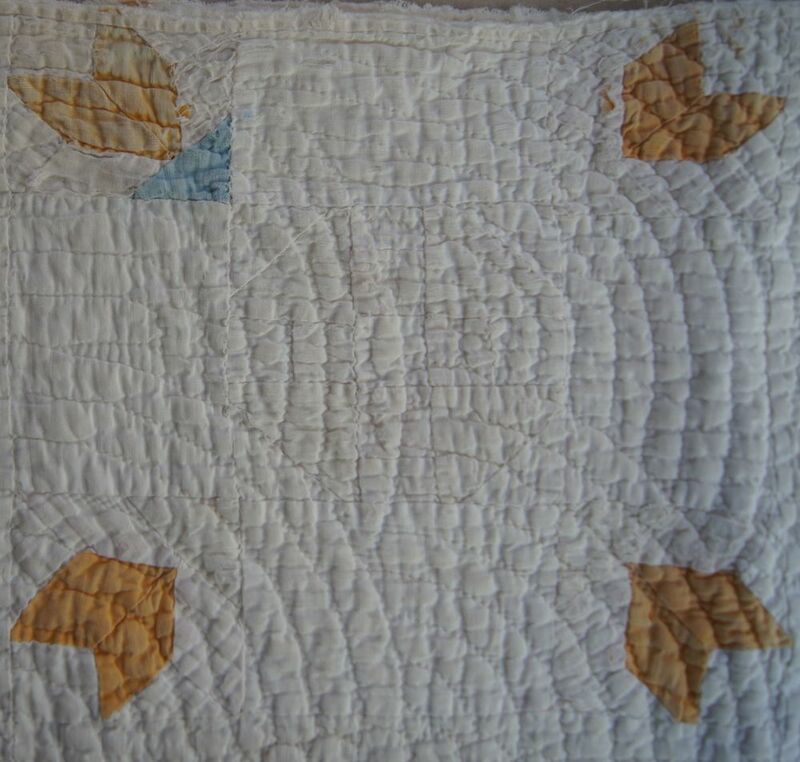 She'd be tickled to know that today's Modern Quilters would really enjoy her circular quilting! 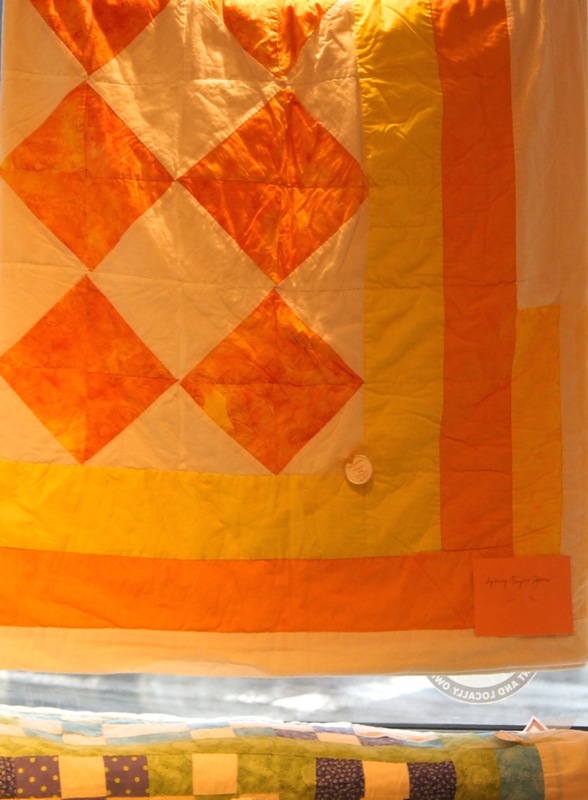 Note that she braided the yarn cord to hang the pieced using yarn the three main colors in the quilt! This wall hanging was tucked in one of my boxes of Christmas decorations. I took it out this year and had a good look at it. I really appreciate her work, especially her attention to detail. 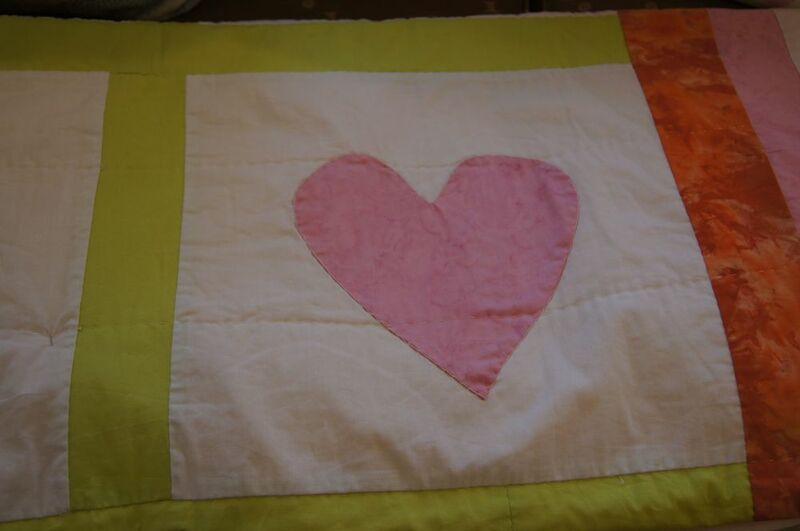 In this season of Advent, I to have this little quilted wall hanging on my wall. It makes me happy in so many ways!